Nobody Likes Being Stung, So Take These Precautions to Avoid it! Bees and wasps aren’t hard to find during summer and early fall. When you’re outdoors this season, make sure you take steps to prevent these insects from stinging you, especially if you’re allergic to them. If you have any nests on your property, make sure you hire NJ pest control services to remove them safely. Don’t wear clothing that has a floral pattern or bright colors, since bees and wasps are attracted to these. Instead, wear light-colored clothing that won’t draw them to you. Keep in mind that bees and wasps can’t see the color red, so this should also be a safe color for you to wear. Wearing perfume or using strongly scented shampoos and soaps, especially those with floral scents, can also attract bees and wasps. Swatting at bees or wasps could encourage them to sting you. If you see a bee or wasp near you, remain calm and don’t make sudden movements. Instead, move slowly and resist the urge to run. Wasps are drawn to food and drinks that are outside, especially those with sugar in them. Keep all food in containers, and cover open cans or bottles of soda and other sugary drinks. If bees or wasps are causing you problems, call Allison Pest Control. We offer dependable NJ pest control services in Monmouth County. Hornets Sting Repeatedly, so Watch Out. The summer months mean that you’re likely to come across bees, wasps or hornets from time to time. Although some of these insects don’t sting, others can deliver a painful sting that can be dangerous if you’re allergic. Learn some interesting facts about these bugs, and count on NJ pest control services for help if you run into trouble. You don’t have to worry about these aggressive bees in NJ . . . yet, but are you aware that they’re also known as killer bees? These bees get their reputation from their tendency to attack in large numbers and for considerable distances when they feel threatened. In fact, some have chased people for over a quarter of a mile. European hornets differ from other hornets, bees and wasps by coming out at night instead of during the day. These hornets can form colonies that have up to 400 members. Wasps are more of a problem in late summer thanks to their taste for sweet liquids, which can cause them to become aggressive around humans. In fact, some wasps even get drunk when they have fermented juice. Yellowjackets can form huge colonies that number in the thousands. These colonies can even build nests that are large enough to completely cover a car. 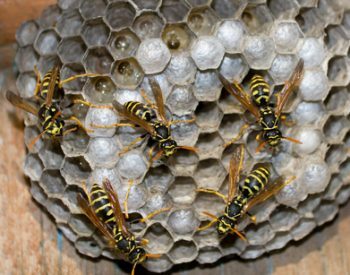 If you have a bee, wasp or hornet problem, contact Allison Pest Control for NJ pest control services. What Should NJ Residents Know About Hornets? Hornets Can Sting Repeatedly So Watch Out! 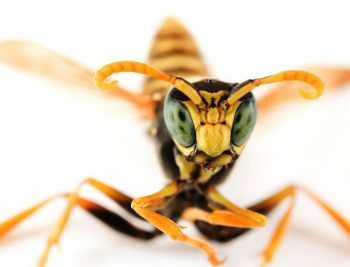 Hornets are among the most dangerous insects that NJ pest control services deal with during the summer months. These large stinging insects have painful stings and are known for being highly aggressive if their nests are threatened. Here’s some more information you should know about hornets in NJ. Hornets make nests with a mix of saliva and pulp that resembles paper. These nests are where they lay their eggs, which typically hatch in spring. Hornet colonies are led by a queen, who is the only one to reproduce. Other colony members include a few males and a number of females who help make the hive, feed the queen’s offspring and protect the colony. Female hornets gather food and feed on tree sap and other insects, such as flies. Males only mate with the queen and usually die shortly afterwards. If hornets feel threatened, they’ll sting using stingers that don’t have barbs, which allow them to sting multiple times. Hornet queens usually find somewhere safe to spend the winter months, while the rest of the colony dies. They emerge from these safe places in spring, lay their eggs and have their young help build a new colony. After producing a new colony, the queen dies and a new one takes over. Are hornets ruining your summer? 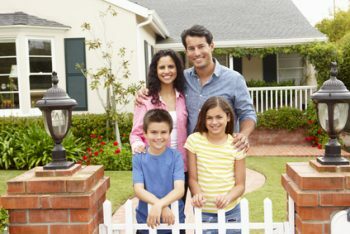 Contact Allison Pest Control for safe and reliable NJ pest control services. Summertime carries the risk of being stung by a bee or wasp. These insects are common and keep NJ pest control services busy all season long. Keep in mind that the treatment for these stings differs depending on which type of insect stung you. Before treating it, carefully remove the stinger from your skin using your fingernail or a credit card. Bees and yellow jackets have venom that’s acidic, which means that you’ll have to use baking soda or another alkaloid. This helps neutralize the acidic content of the venom. Add some water to baking soda to make a paste, then spread it on your sting and leave it for up to 15 minutes. Wasp and hornet stings can be more painful than bee stings. Since their venom is alkaline, you’ll need to use vinegar on it. Vinegar has acidic properties, so it neutralizes the venom. You can pour a little bit of vinegar on the sting, then dip a paper towel in vinegar and apply it as needed. For stings from bees or wasps, applying ice can help ease pain. If you have trouble breathing or signs of an allergic reaction, seek emergency medical care. If wasps or bees are causing trouble on your property, please contact Allison Pest Control for help. With our NJ pest control services, you won’t have to worry about dealing with bee or wasp stings. Summer is a great time to get some fresh air, but it’s also important to avoid getting stung. When you’re outside this season, watch out for the following stinging insects and have NJ pest control services handle any infestations you have. In most cases, honeybees and bumble bees don’t sting people, especially if they’re out foraging for nectar. However, you can get stung by these insects if they feel threatened. Fire ants have painful stings that they use to defend their colonies from threats. If you accidentally disturb a fire ant nest, you can expect to be stung multiple times. Hornets can become very aggressive if you approach their nest. These black and white colored stinging insects have thinner waists than bees and little to no hair on their bodies. Paper wasps aren’t as aggressive as hornets and other types of wasps, but you can get stung if you go near their nests. Since these nests are often built near buildings, it can be hard to avoid them. 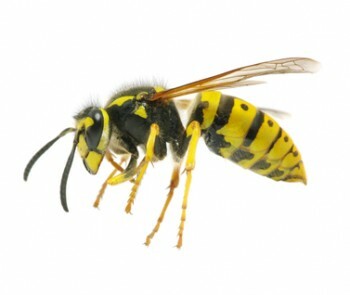 Yellow jackets are wasps that have black and yellow, white or red coloring. Although they’re not usually aggressive, they can become so if their nest is threatened. If you have stinging insects in your yard, contact us for NJ pest control services. At Allison Pest Control, you can count on having your bug problem handled quickly and efficiently.